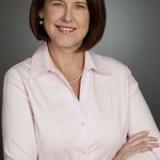 Cindy is a Vice President and Deputy Controller for Turner Broadcasting System, Inc. In her role she is responsible for the Accounting Business Services (ABS) organization. ABS is an integral component of Turner's Global Financial Business Service ("FBS") organization. The FBS organization is a full scope financial shared service organization that supports Turner’s Operations. Within it, the ABS organization and team members are responsible for the financial service operations of the Accounting CoE, Procure to Pay, Payroll, Credit and Collections and Travel Services. ABS team members are focused on accurate and effective end to end financial service operations, accuracy and consistency in accounting treatment across Turner’s global businesses as well as the creation of opportunities to achieve efficiencies through standardization. Prior to her current role and after joining Turner Broadcasting in 2005, Cindy was the Vice president and Deputy Controller of Turner’s Accounting Center of Excellence and held Controller positions at CNN Worldwide and Cartoon Network. Cindy began her professional career in 1990 at Ernst & Young in Atlanta after earning both bachelor and master degrees in Accounting from the University of Florida. She earned her CPA from the State of Georgia in 1992. In 1996, she left Ernst & Young and moved to the client side of the finance profession. Immediately before joining Turner Broadcasting Cindy was Vice President and Controller at Allied Holdings Inc., a $900 million public international transportation company. During her career she has had varied responsibilities including financial reporting requirements, managing external and internal audit relationships, oversight of a financial system conversion and has led a company’s Disclosure Committee and SOX compliance requirements. Cindy is a member of the University of Florida Fisher School of Accounting Advisory Council. The Advisory Council provides a channel of communications between the Fisher School’s faculty and the business community that the school serves. She is also a member of the Board of Directors of the Media Financial Management (MFM) Association and is a graduate of the Women in Cable Telecommunications (WICT) Betsy Magness Leadership Institute.